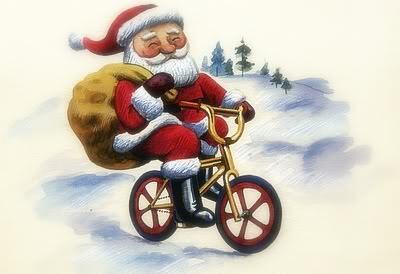 Here is a re-post of this useful blog as Christmas is just 10 weeks away. We at Belfast City BMX club want to promote the sport of BMX racing within Northern Ireland, but understand that it’s new to most kids and parents alike, and therefore can be confusing how to get involved. 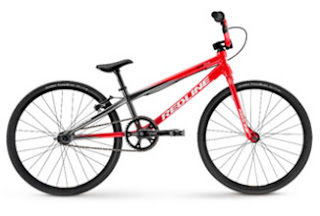 Getting the right bike is critical, as there are many different BMX bikes, for street/ park, dirt jumping, flatland and BMX racing. 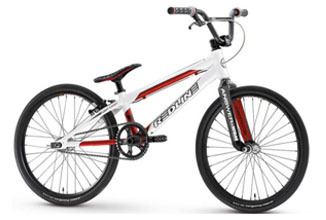 appearance race bikes generally have aluminium frames for lightness, thinner tyres & a single rear “V” type brake & also do not have stunt pegs or gyros. The geometry of the frames is also different as they are built for speed rather than doing tricks. 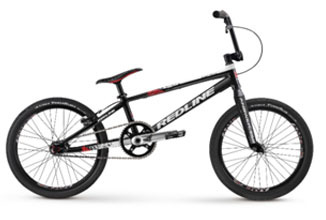 BMX bikes are not “a one size fits all” bike & it is important to choose the correct size and type of bike. All too often we see youngsters on bikes that are too big or small & this can cause poor bike control. 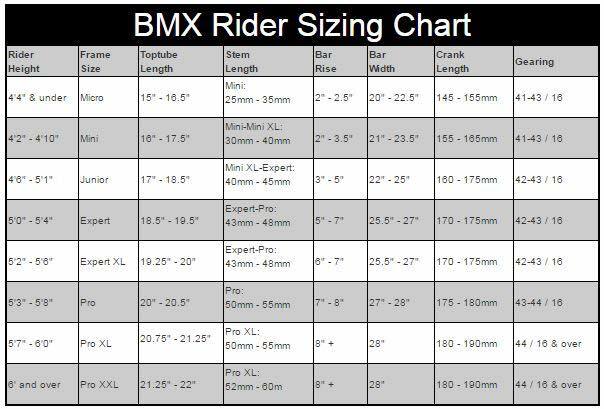 The table below shows the height, the BMX (size) name and an example photo. When riding a BMX track you will also need safety equipment. A helmet - full-face is best, Gloves (full-fingered) and Full length clothing. The protection and clothing listed above is a minimum as per the rules of racing – we strongly suggest wearing extra protection if you have it, such as elbow/knee/shin pads. 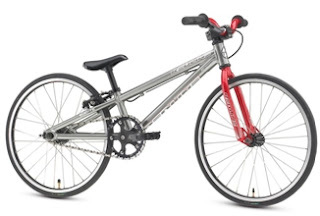 BMX tracks are hard-packed gravel, and everyone falls off sometimes while they’re learning! 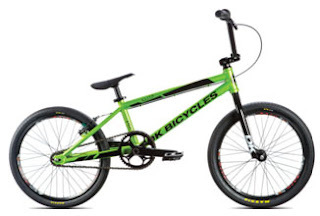 Unfortunately at the moment local bike shops do not stock or have much knowledge of BMX racing bikes therefore we recommend that you purchase your bike & accessories from a specialist BMX racing shop who will able to provide you with the right bike & sound advice. Entry level bikes are available from approx £200. 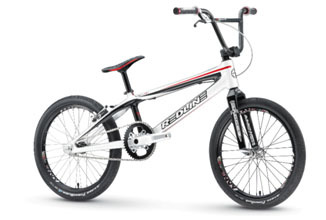 Many BMX bikes sold in catalogues, sports shops & mountain bike shops are often poor quality & unsuitable for racing. Listed below are links to BMX manufacturers & reputable dealers who will be able to supply the right bike & equipment. We have no affiliation with any bike shops, but we want to help people get the right bike for the track, and help bring people into the sport with the right equipment. 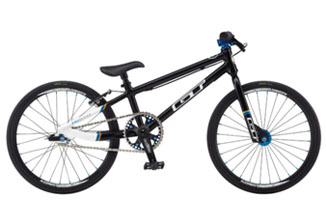 updated for 2017 -- Cuda, DK and Haro Bmx Bikes are available in Cyclezone Lisburn.